Since the introduction of smart technology into the world or sports there have been some pretty amazing advances in safety and performance tracking extending beyond simple fitness trackers. Now, there are safety vests for skiers that not only provide feedback on your run but also sense spills and inflate before you ever hit the ground, or football helmets with multi-directional impact protection systems. Last year, Wilson introduced a smart basketball that can calculate your shooting percentage for you. This September, they’ll be releasing the new Wilson X football that measures performance while offering a stadium experience. 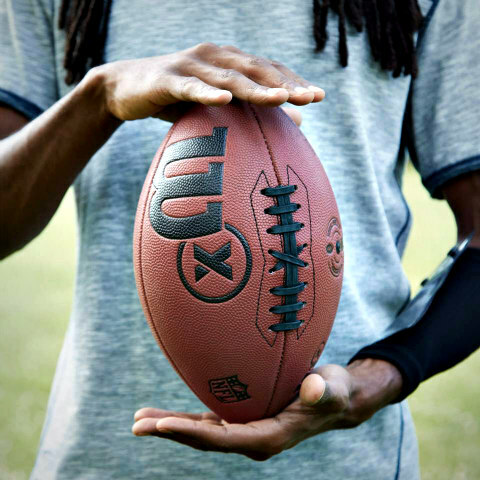 Similar to the Wilson smart basketball, the X football uses sensors and an accompanying app using Bluetooth to send the data it gathers on your performance. It can tell you the ball’s spin rate in RPM, spiral efficiency and estimate the distance and peak velocity of each throw. The app crunches all of these numbers and creates a composite score similar to that of the NFL’s passer rating stat for quarterbacks. Veteran sportscaster Gus Johnson says, "You know, they say ‘he throws a really tight ball,’ but they’ve never been able to put a number to that. Today we’re able to put a number to that." Speaking of Johnson, he lends his voice to the accompanying app that, besides offering data in real time, also allows users to play a number of games. Certain game modes offer players the opportunity to play off their own stats, like an elimination round where you set the bar (e.g., toss a ball with a specific RPM rotation), which your friends/other gamers have to clear while each round increases in difficulty. The app’s menu features a live counter at the bottom of the screen showing you what your buddies have been up to with their own X footballs, and there’s even an avatar which can be customized with real NFL logos, due to Wilson’s long-standing partnership with the group. 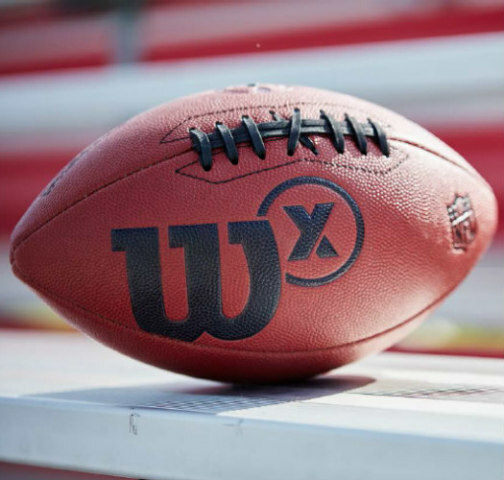 Wilson’s general manager of team sports, Kevin Murphy, has been noted as saying that the X football will last for over 200,000 throws without the need to charge it. This is said to be equivalent to 500 hours of continuous throwing. It manages this because the sensors located within the ball are in sleep mode the majority of the time. They’re awakened from sleep when a user holds the ball on its end for two seconds and then flips it and repeats the process. The procedure eliminates the chance the ball will turn on accidentally while bouncing around in a gym bag or your car, running out of battery before you get to use it. Access to numbers like the ones you’ll see in real time with the app is unprecedented, according to Wilson. Not even the pros have had it until now. But to capture the whole experience you need to keep an eye on your smartphone, which makes it a bit difficult to toss around the old pigskin with a buddy while you’re trying to watch a small screen. To remedy that, Wilson is including a wrist coach with the balls. 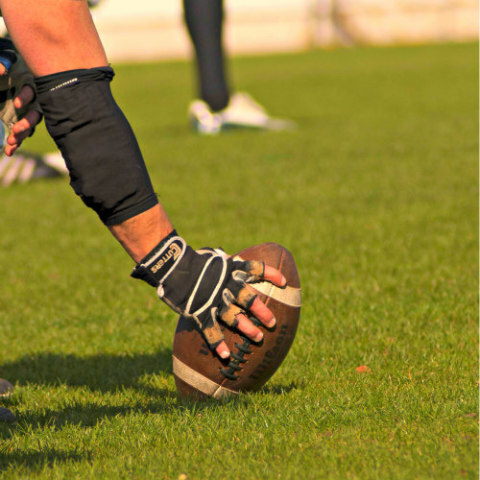 It’s an elastic armband users can slip their phones into that’s modeled on the playbook wristbands pro quarterbacks wear, adding to the make-believe/virtual experience. If you’re interested, Wilson is making the balls available to the public September 8 with a reported price tag of $199.00, the same as their smart basketball.